Earlier this month, we heard rumours that there’d be a new Zelda game coming to Nintendo Switch this year. Turns out that information was accurate! 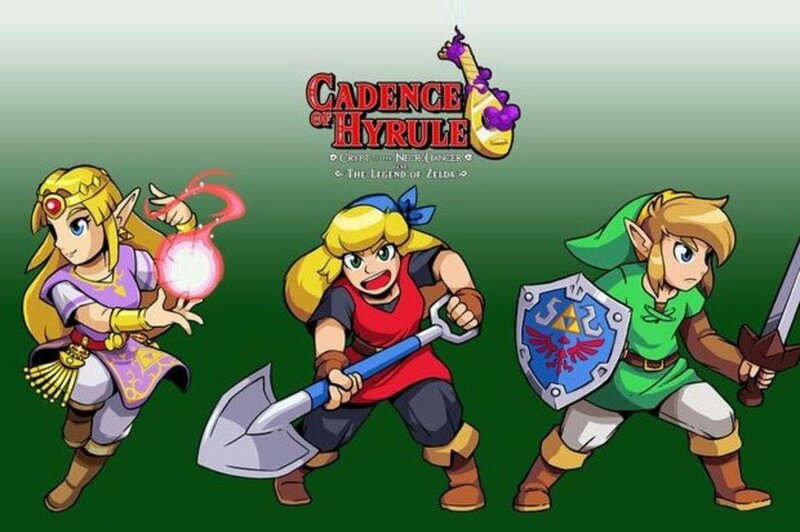 Today on a Nintendo Indie stream, the company announced it has a new Zelda title in development: Cadence of Hyrule. The game – developed by Crypt of the Necrodancer studio Brace Yourself Games – will merge the mechanics of the beat-matching rhythm game with the music of Zelda… something we didn’t know we needed until today. “Keep the beat and keep Hyrule from meeting certain doom when Cadence of Hyrule – Crypt of the NecroDancer Featuring the Legend of #Zelda from @BYG_Vancouver comes to #NintendoSwitch this spring!” announced a tweet from Nintendo of America. From the trailer we’ve seen so far, it looks like you’ll be able to play as both Zelda and Link – but aside from that, we’re in the dark about exactly what else the game will contain. What’s clear is that this game will scatch the retro itch that more classic Zelda fans may have. Breath of the Wild is a great game, but players that grew up with more retro experiences and top-down Zeldas should have their nostalgia glands squeezed by something like this. Hey – it worked with Final Fantasy Theatrhythm after all. Merging a series known for its amazing OSTs with a tight, well-made rhythm action game is only ever going to be a recipe for success. Cadence of Hyrule launches this spring on the Nintendo Switch – though right now we don’t know exactly when.